Good Form Running is a simple to understand technique for running healthier, easier and faster. Instead of a complex biomechanical analysis, GFR focuses on four simple, essential steps focused on running light and running easy. With simplicity as a primary focus, GFR has positively impacted thousands of runners since 2006. About the Coach: Timothy Lyman is a competitive distance runner, fitness professional and coach. 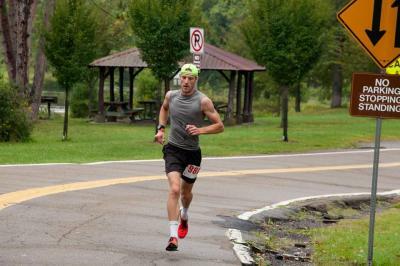 He has competed around the United States and overseas in distances ranging from 5K to full marathon, with a 5K PR of 16:39 and marathon PR of 3:12. He is an ACE and ISSA certified personal trainer, LES Mills instructor and Elite Group Training program director with over ten years of experience in the field including continued education in yoga, pilates, holistic wellness and sports nutrition. He has coached cross-country teams at the high school and collegiate level, in addition to individual sub-elites and is certified through USATF and ASEP. His training specialties include running economy, injury-prevention and functional/integrative fitness. He holds an MBA and B.A. from Point Park University.